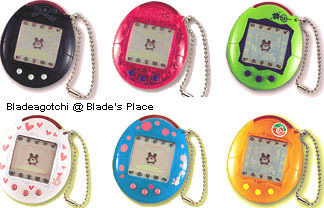 Pictured here are the first two series of colours that were released in Japan. There was a third, and possibly a fourth, series but I haven't been able to find pictures of them. Pictured above are the Series 1 (original) designs. 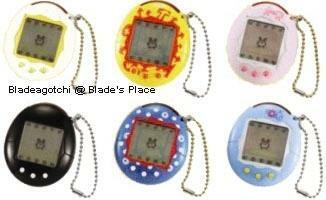 Pictured above is the Series 2 designs of the Japanese Tamagotchi Plus.